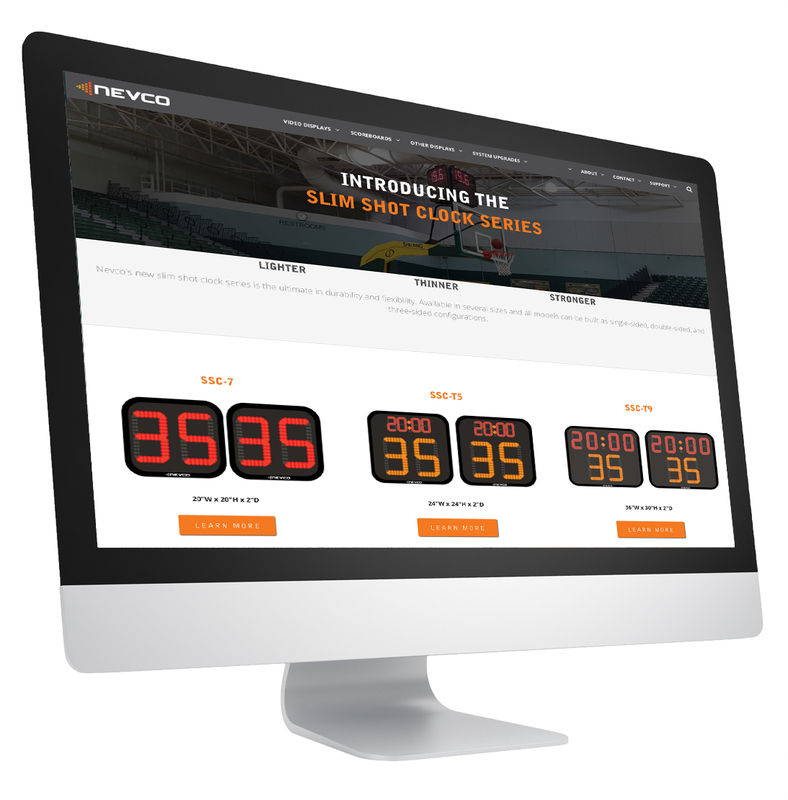 Nevco’s SSC Slim Shot Clocks are available in three sizes as well as single-sided and double-sided. Available in black only. Shot clocks integrate with Nevco End of Period Lights through the IAD box (included with shot clocks). The shot clocks use bright, long-lasting, energy-efficient LEDs to reduce power consumption and operating expense. The horn is mounted externally above or below the shot clock for maximum sound clarity. The lexan face and lightweight aluminum cabinet can withstand heavy impact, eliminating the need for protective screens. The shot clocks connect through cat5 cable to the IAD box, which is easy to conceal and protect from game elements.